Bold and bright!!! Thanks for stopping by!! I mean moved to the right. Thanks for the feedback Brad…appreciate your input!! Have a great weekend! Both of those are really cool! I do like the one that is off center to the right, I see what you mean. Great colors too! God bless! Thank you very much Ryan! I ended up putting both into one of my galleries as I truly couldn’t decide one over the other….not like me, I’m usually very decisive!!! Have a great week…blessings!! I love the sky in the first one! 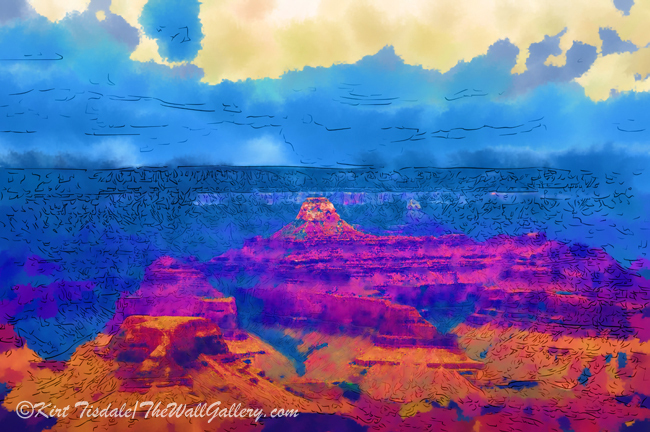 Thanks Darlene….they are bright and bold prints!! Well that is quite a contrast and illustrates the diversity of your talents Kirt. I agree with the tower off to the side the other buildings are more noticeable. In the first one I didn’t even really see the other structures. Great point and back to bright colors!!! I truly appreciate the feedback! Thanks for stopping by!! The. Plots are amazing! I like the second one better as I actually am pulled into that painting! Not The Plots! The colors!! 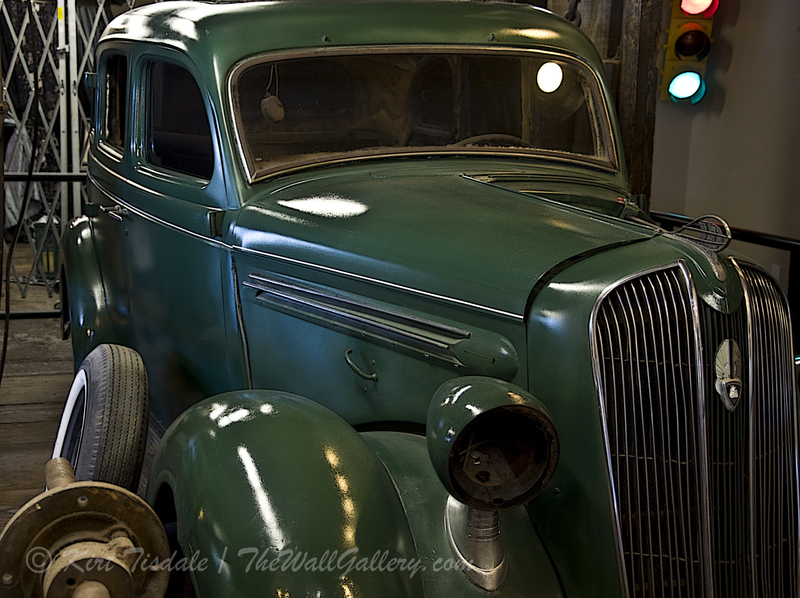 Great feedback….I truly was torn between the two and ended up putting both of them in one of my galleries! 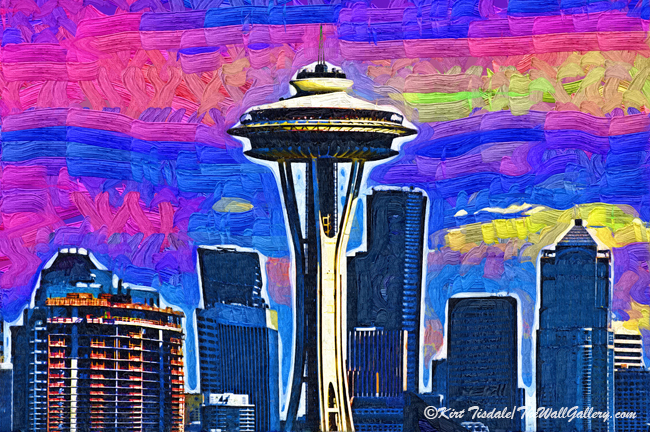 Fun to see your vibrant touch added to the Seattle skyline, Kirt. Thanks Jet…bright and colorful for sure!! 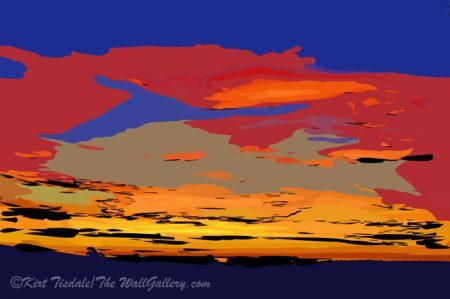 I always love your Fauvism pieces – so bright and cheerful! 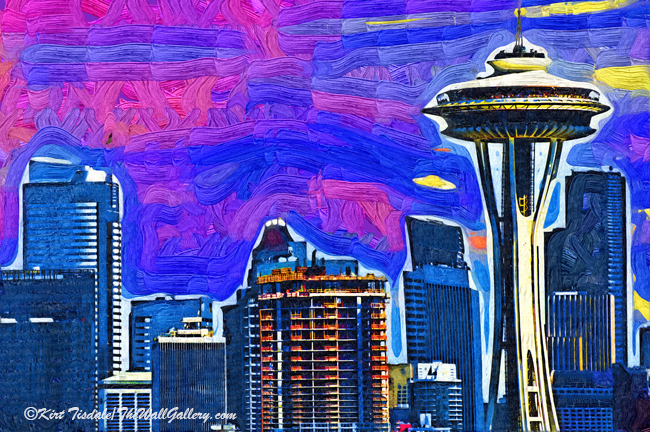 I like the Space Needle off-centre – to me, the more dynamic composition suits the bright colours and active brushstrokes in the sky. It is so funny…my first thought was I was drawn to the one with the Space Needle off center, but then I looked at them a couple times and somehow the centered one spoke to me more. Maybe I am craving balance😉 Either way I love them both! Thus the reason I couldn’t pick one over the other….they both draw for different reasons! Hope all is well with you and that you have a blessed holiday season!! Thanks for stopping by Lorrie! I’m sure you will understand why I prefer the upper image, Kirt. When I first moved to Seattle, I worked at the base of Queen Anne. I lived for about a year up by Woodland Park, and sneaking over the back way, I frequently stopped at Kerry Park. That top image is the image I remember, even thought the skyline is dramatically different today. My pleasure Dan….the skyline has had 20+ cranes building new high-rises for at least the last two to three years solid….I remember seeing something like that in Denver back in the oil boom days of the 80’s, but not since then. The amount of construction is amazing…most due to Amazon and their IT initiative…..thanks for stopping by!! Kirt, these are so cool. The technique adds a lot to the composition. I’ve probably said that green is my favorite color, but I particularly love the pinks in that first one. Fabulous work. Hugs. Oh! Big progress toward getting my NM cottage. I’ll have my own walls soon. I need to revisit that one I liked with the palm trees….